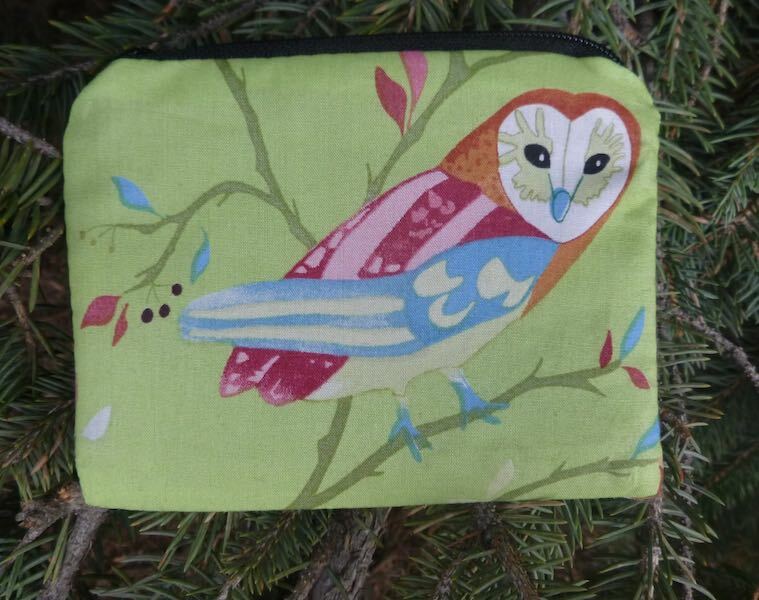 This owl coin purse is also sized to hold your driver's license and credit cards. 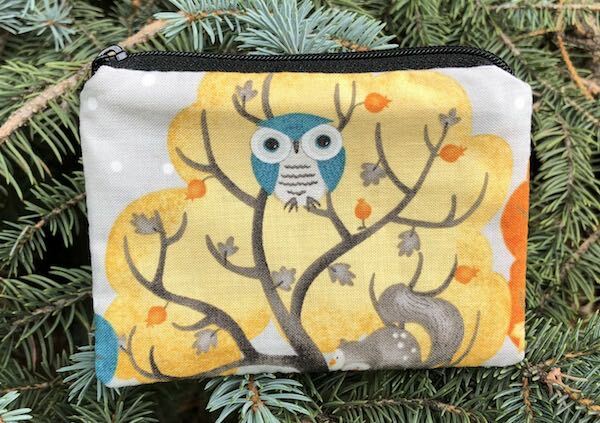 It's perfect for giving gift cards, and jewelry, as well as holding stitch markers for knitting, and golf ball markers and tees. Cotton exterior. Fully lined with black nylon taffeta, stain resistant and water repellent. Width: 4 3/4". Depth: 3 1/2" Zipper opening: 3 3/4"